While most people have heard about periodontal or gum disease, they do not know that is not just one disease. Gingivitis is the most well-known form of gum disease that is characterized by red, swollen and bleeding gums seen during brushing your teeth or during a dental exam. The gingiva or gums surrounding the necks of the teeth are inflamed which is caused by plaque developing along the gumline. Often noticed by bad breath, gingivitis can also be caused due to several health condition or medical changes in an individual. Changes like puberty and pregnancy are likely to intensify the disease. Gingivitis can be easily treated or prevented and there is no loss of bone during gingivitis. Following good oral health regimen can reduce the chances of developing gingivitis. Using a good quality soft-bristled toothbrush, flossing, along with other oral hygiene practices such as mouth rinses, interproximal cleansing devices and water picks can reduce chance of gum disease. Regular visits to a dentist with regular cleanings twice a year also help. If gingivitis is left untreated, it can advance to periodontitis. Periodontitis is similar to gingivitis, but it causes loss of bone support within the teeth. The damage done by periodontitis can be treated or prevented, but it can rarely be reversed, so it is important to take care of these issues earlier on. Along with red and swollen gums, periodontitis is characterized by formation of gum pockets around the teeth leading to opening around the gum tissue where tartar is formed and can cause bone loss and even tooth loss. While not all people who have gingivitis develop periodontitis, certain factors can multiply the chances of developing periodontitis such as smoking, uncontrolled diabetes, genetics, poor oral hygiene and obesity. 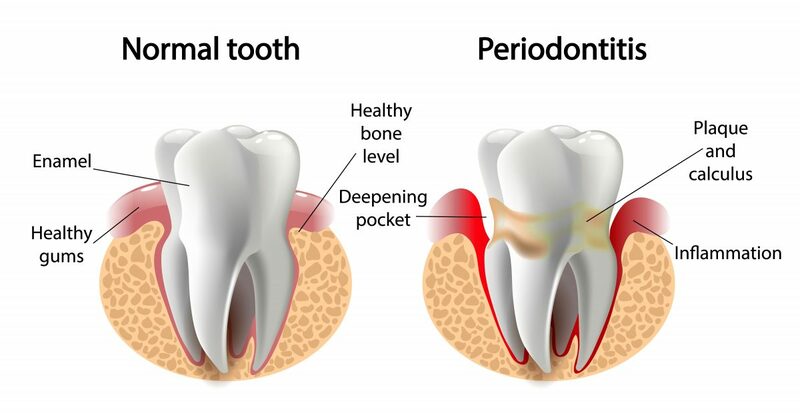 Periodontitis if left untreated can not only lead to bone and tooth loss, but also other diseases such as increased risk of cardiovascular disease. Using a sensitive toothbrush and following proper oral hygiene are paramount in preventing periodontitis. Quitting smoking also helps to prevent chances of periodontitis. If periodontitis has already occurred, it will be treated by your dentist through deep cleanings (scaling and root planing) and in serious cases bone loss around teeth requires gum surgery including bone grafts and gum grafts. Even after the treatment of periodontitis, the disease is never truly cured and frequent annual cleanings need to be made to prevent any long-term problems. 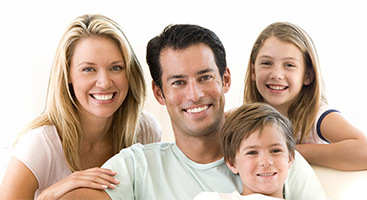 If you would like to learn more about periodontal treatment, you can visit our website at www.gentlecaredentists.com.